Aiming to be among the first public fitness facilities globally to achieve dementia-friendly status, the UK’s Great Sankey Neighbourhood Hub (part of LiveWire Warrington) has a remit to help members young and old stay active. Commercial Manager Kev Forester explains how the site made group exercise a central pillar of its recent £16m redevelopment. What’s the background to Great Sankey Neighbourhood Hub? Early this year, we completed phase 1 of a £16m overhaul of the site to modernise and ensure it’s a hub for community health & wellbeing. We’ve already grown our membership to in excess of 2,700 with a really broad demographic comprising lots of young families, plus a lot of older members. This is why we’re aiming to become the world’s first public building seeking the DSDC Gold Award for its dementia-friendly architecture and design. As part of this much consideration has been given to the signage, equipment, colour, tonal references, and general design elements. As such, we need a wide range of exercise options, but as a community facility charging £16 – £30.75 per month for membership, it’s vital these are all cost-effective and inclusive. What were the main outcomes of the redevelopment? It was a complex project and this spanned the dementia-friendly aspects, an integration of local leisure, library and health services under one roof, plus a whole range of outdoor sports facilities. 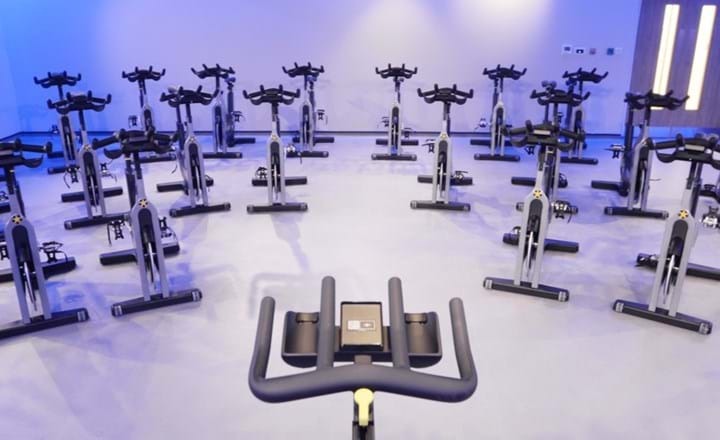 On the fitness side, we decided to go big on group exercise, so we’ve now got three studios, two of which are set up for Virtual, including a dedicated indoor cycle studio. It’s proven to be a masterstroke! We’re smashing our numbers and group exercise is playing a big part. The LED look and immersive feel of the studios really helps give the ‘wow’ factor, while offering 100 classes per week now is a real selling point. 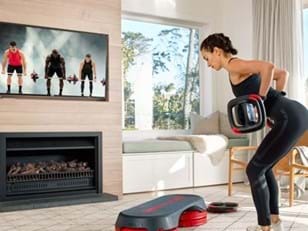 We run live LES MILLS™ classes such as BODYPUMP™, BODYCOMBAT™ and we just launched GRIT™, while on the Virtual side we’ve got RPM™, SH’BAM™, BODYPUMP, BODYCOMBAT, CXWORX™, and BODYBALANCE™. We’ve worked with Les Mills for a number of years and the quality and trust in the brand is a big driver of new members. It’s the same for instructors – we want to attract the best and Les Mills is what they want to teach. How have you marketed your group exercise (GX) upgrade to support this? Ahead of our re-opening, we offered residents a chance to sign-up for an exclusive pre-opening membership offer to use the leisure facilities at a discounted rate. At the same time, the release of our new timetable on social media sparked huge engagement. And the group exercise angle definitely helped build a buzz among members. 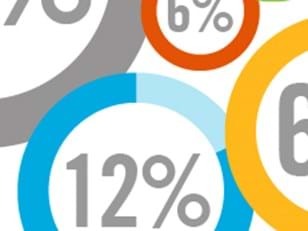 Brand Central is a really useful source of assets to support this and spread key messages across a range of marketing channels to ensure we reach our broad audience. What impact has Virtual had on your timetable? 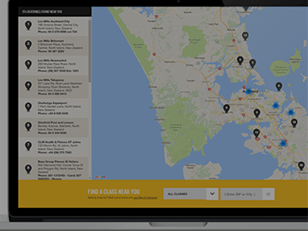 It’s obviously given us a big boost in terms of our class offering – we’ve added 40 extra Virtual classes at the push of a button. This has been huge for us in terms of having a strong GX proposition throughout the day, making greater use of our studios and freeing up space on the gym floor. The impact has been well beyond our expectations – we’ve got Virtual RPM on a Saturday morning with 29 people in the class! All told, we have 1,100 GX attendances each week, with virtual accounting for 25-27% of these on average. Have you noticed a shift in the types of members trying GX since you’ve added Virtual? It’s definitely bringing in a broad range of members, which is massive for a community facility like ours. Virtual is great for new starters who might be a bit intimidated initially – it helps them feel their way in and many then move onto live classes as well. Some of the feedback has been that classes like Virtual RPM are a bit more sociable and relaxed for our members who like to have a chat. We’ve got people forming their own little groups around SH’BAM and CXWORX too! Around 30 per cent of our active members do GX each month and we want to get that up to 50 per cent, so Virtual is key to driving that growth in a way that’s cost-effective. What else are you doing to lift GX attendances up to that magic 50 per cent mark? A couple of things. We’ve invested in SMART TECH kit for our studio which is definitely a plus-point with members. We’ve been challenged quite strongly by budget gyms, so things like SMART TECH help us to demonstrate the added value we offer, through high-quality kit that members can touch and feel. We’ve also got big plans to use launch events as a means to drive GX and memberships in general. We’ve selected January 2019 for a major event at Great Sankey – not just a few classes, but a real celebration of fitness with masterclasses and a focus on providing a great inclusive community experience.